It sounds nice. I don't know if this makes sense from a business perspective, but could you regulate how much a person can buy? They would all sell out, I'm sure, but then everyone would get some as opposed to one person getting all of them. Maybe this is a silly idea, but under this, more people would get a chance to own your art. What price would you sell them at? 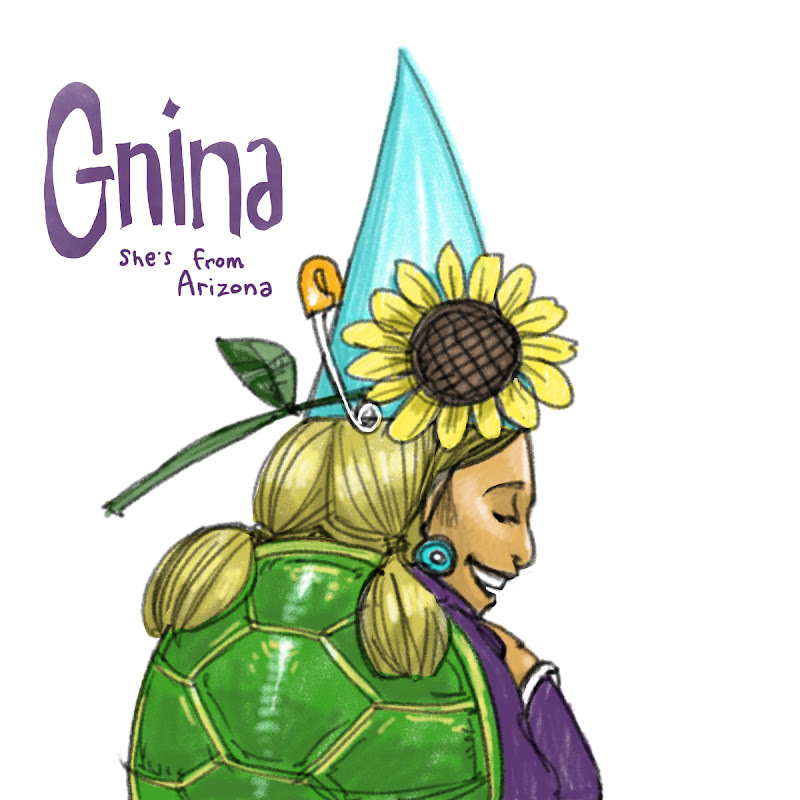 I really like Gnina and here huge safety pin and turtle shell. Yes! I would love to buy sketches! Could we pick anything from the blog? And I love the idea of buying sketches! I'd actually been thinking of wanting a gnome sketch at some point. You could offer blog sketches as well as do whatever else you want to. Yay! I love my Gnina. I think sketches could do very well for you. I'm a college student and completely broke so I couldn't buy, but I know others would. We would love to purchase a sketch! Now my hopes are up. I like the sketch idea. Would it be an all-the-time thing or occasional? Knowing my spending habits, I would probably only buy one if they were available when I was looking to give a gift to someone, or if there was a picture I absolutely loved. Also, how does this work with your "too many deadlines to even blog" schedule? I hate to add more work for you. Yes, yes. I would pay money for your art. I will join the chorus - if you were to sell art, I'd be interested in buying it. I'm really interested in getting my hands on some original art. I would for sure buy some.